Recently SAP released SAP Solution Manager 7.2 and now this product is reached to SPS03 level. I took some time and wrote some blog documents regarding SAP Solution Manager 7.2 upgrade and SAP Solution Manager fresh installation. I am attaching all the documents links on this blog so you can find it all in one place. As far as I write more blogs on SAP solution Manager 7.2 I will be posting additional links on this page. Please let me know your experience with SAP Solution Manager. Good documents for solman 7.2 installation …Very well done. Mentioned link is not working ..Please check and enable it. Could you please tell me the TREX integration part with solution manager 7.2 also.. Does it come in the post installation steps? Good job. very nice documents. Thank you for well detailed documents. When are you going to upload for ITSM and CHARM? Not planned yet but as soon as I have it I will post them all. 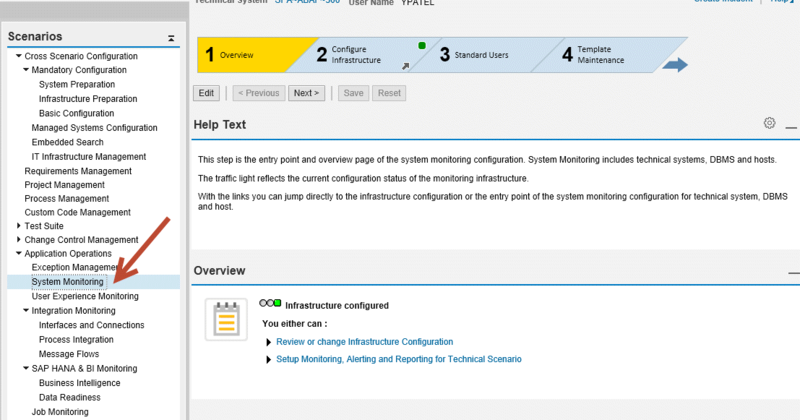 Need to set up system monitoring dashboard in solman7.2, could you please post the same. Do you have Managed system configuration done and Technical Monitoring configured? Yes, i have configured everything and alerts are flowing in alert inbox and that too notifications enabled. But the system monitoring dashboard is not populated. Kindly share your thoughts on this. I think you have configured Manage systems but not system monitoring. I have configured system monitoring also. Alerts are coming to my alert inbox. But in system monitoring dashboard its not available. there is a tile you need to look for. could you please brief on this, am not getting which one you are referring to. I try to select the system as extended id and once i click GO. It says not able to access service. Really a good work..Much appreciated ! Could you please upload Business process monitoring document also. It could be a great help to everybody. How to rectify it …In which places I should do the change in mandatory configurations. I would appreciate your inputs and help. If I change the icm/host_name_full parameter now, should I have to change it inside the mandatory configurations in solman_setup? (or) it will reflect automatically. if yes, what are the places exactly need modification. Is this parameter change applicable to JAVA system as well? After updating the ICM parameter. HTTPUPDATEURL task needs to be re-executed in SOLMAN_SETUP. 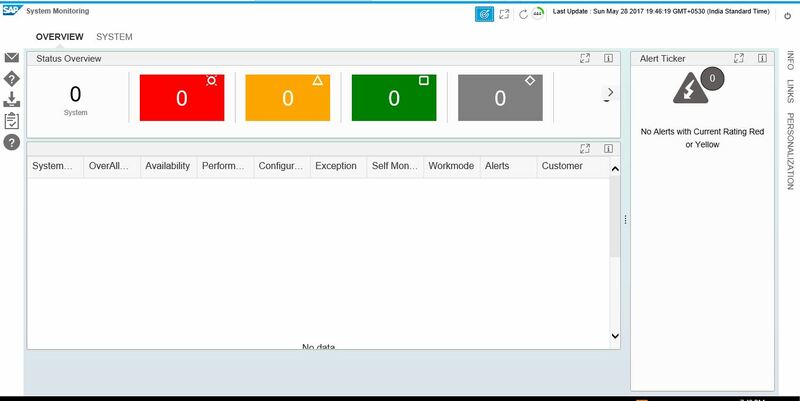 Did you find/create any documents on SolMan fiori configuration? As same way you can search one my one all Tiles Ex: My sap early watch alert reports and Monitor Systems completed your configurations.